Here at Able Driving Skool we offer a comprehensive range of driving tuition. From driving lessons for beginner drivers to driving instruction training, we aim to produce safe and confident drivers and instructors. All of our instructors understand that everyone learns at different rates and they are dedicated to teaching you at a rate comfortable for you to ensure you feel confident driving on your own. We have both male and female instructors, if you would prefer a female or male driver, please just state when booking your lesson. We also have the option of conducting your lesson in French if you require us to do so. We offer beginner driving lessons, Pass Plus course, Semi intensive and Intensive driving courses, Refresher driving lessons, Fleet driving training rural and motorway driving. We also provide Driving Instructor training. Driving instructors are always in high demand and with the opportunity to earn up to £30,000 many people are now turning to this flexible career choice. To become a driving instructor with Able Driving Skool you will need to pass a 3 part test regulated by the Driving Standards Agency. The first part is a theory and hazard perception test, which our instructors can help prepare you for, though the majority of this will be self instruction. The second part of the test is the driving ability section in which you must drive to a high standard. 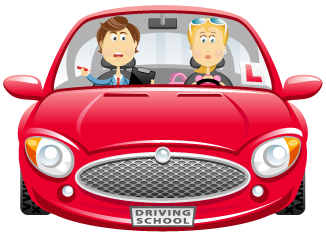 Our instructors will help advise and train you to drive to a level needed by driving instructors. In the driving ability test you must drive at an exceptional standard, only 6 faults are allowed. The final section assesses your knowledge, instruction and ability to teach. At Able Driving Skool our instructors will aid you to becoming an exceptional instructor, capable of producing safe and confident drivers.